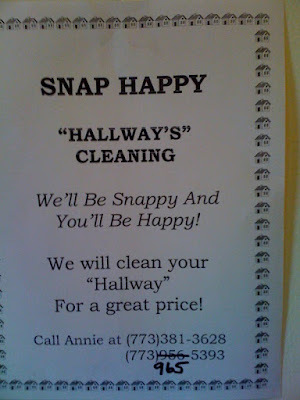 I guess they'll clean your, um, entryways? mudrooms? grand halls? Thanks, Max. Wow, that's odd. I can't even come up with a joke. It's a head-scratcher! As a former teacher, this makes me insane along with the complete misunderstanding of when you use an apostophe and when you don't!!! Well, if they hadn't done it twice, i would have (with th possessive and all) assumed it was an alias for the company name. bBUT, since they repeated it further on down, i'm just stumped. 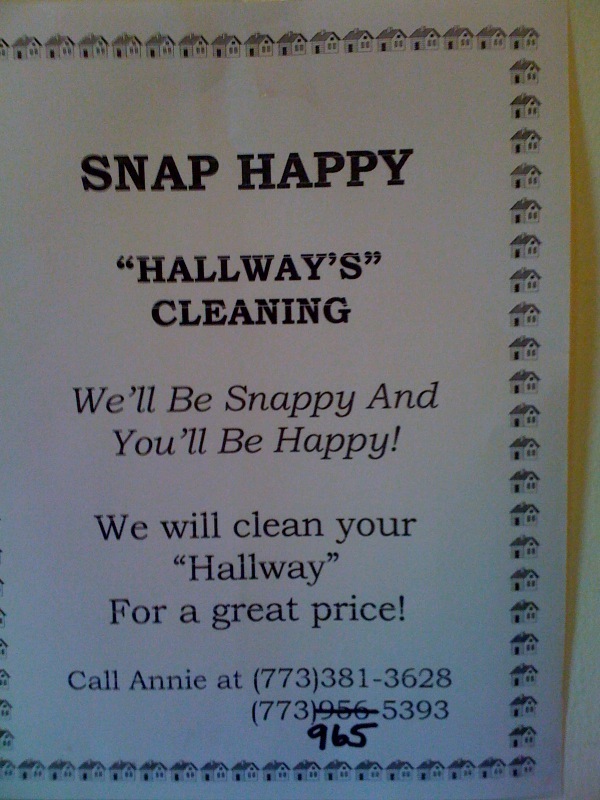 This may be a two-for-one: nonstandard use of an apostrophe as well as incorrect use of quotation marks. No, you are all wrong. It's Mr Hallway's cleaning service and he will clean anything even vaguely like a "hallway" - obviously he will clean entrance rooms and passages as well as other areas that resemble hallways, but not "halls". Ha. The added apostrophe is great too.